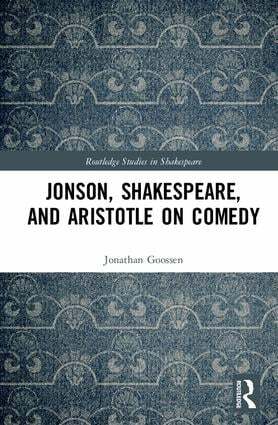 Jonson, Shakespeare, and Aristotle on Comedy relates new understandings of Aristotle’s dramatic theory to the comedy of Ben Jonson and William Shakespeare. Typically, scholars of Renaissance drama have treated Aristotle’s theory only as a possible historical influence on Jonson’s and Shakespeare’s drama, focusing primarily on their tragedies. Yet recent classical scholarship has undone important misconceptions about Aristotle’s Poetics held by early modern commentators and fleshed out the theory of comedy latent within it. By first synthesizing these developments and then treating them as an interpretive theory, rather than simply an historical influence, this book demonstrates a remarkable consonance between Aristotelian principles of plot and its emotional effect, on the one hand, and the comedy of Shakespeare and Jonson, on the other. In doing so, it also reveals surprising similarities between these seemingly divergent dramatists. Chapter 4: Shakespeare’s exposure of "seeming"
Chapter 5: Indignation Chapter 6: Jonson’s shifting "furor poeticus"
Jonathan Goossen is Associate Professor in the Department of English at Ambrose University in Calgary, Alberta, Canada.